In the dim, distant past, a wedding photographer was a thing of wonder. He could produce magic with that rare, mystical and expensive thing called a professional camera and you spoke to him with a reverence that only your Doctor was familiar with. Back then, there were very few "keen amateurs" photographing weddings, the wedding photographer had spent years perfecting his craft and offered a classy and bespoke service. Your wedding pictures were lovingly put into elegant books and after a long wait, delivered to you. The family gathered round and you looked at in awe at the pictures before putting them into that special drawer that dirty fingered children never opened. In those days, the only way to see your precious pictures was through the photographer and so couples would readily accept the terms offered by him. Fast forward to now and the smartphone has given everyone a camera, good cameras are very affordable and free computer software has meant that amateurs can often "fix" poor pictures after taking them. Facebook allows anyone to have a (sort of) website, declare themselves a wedding photographer and share their work with the whole world. Many of these "keen amateurs" are offering to photograph a wedding for 20% of what people like me charge. The digital age and social media has filled the world with (often bad) wedding pictures and that has made wedding photography less special and far less valued than it used to be. Social media's "share everything now" culture has led to some of my clients encouraging guests to post their shaky cameraphone pictures onto Facebook before the Vicar has cleared his throat. This changing landscape meant that many photographers operating a "pay after wedding" system were often not being being paid by couples who had seen so many friend's pictures of their wedding that much of the excitement had gone by the time they returned from honeymoon and the large photographer's bill was too much to bear. This led to photographers asking to be treated like all the other wedding vendors by being paid in full before the wedding date. 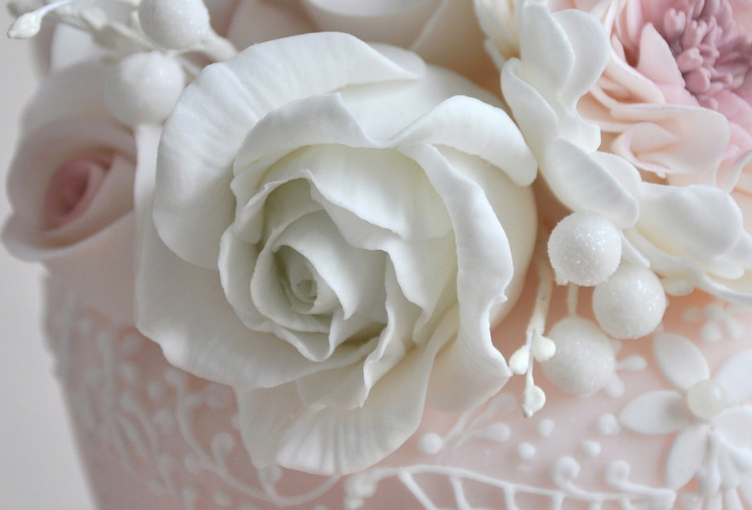 No couple ever demanded to eat the wedding cake before they paid for it, did they? some bad people and we've all read horror stories of "photographers" (actually con men with cameras) who take money and never turn up on the day or deliver pictures late or not deliver them at all. Some couples are genuinely wary about paying upfront to avoid this happening and at other times couples pay upfront and are the victims of terrible service and also end up with terrible pictures. There are many ways that couples can protect themselves against the rogues and shamateurs; look at the photographers' website, social media pages, blogs etc to get a feel for them and their work. If you have doubts that the pictures online were actually taken by a particular photographer then use a website called "Tin Eye" and upload an image to see if came from somewhere else. Google's Reverse Image Search does the same thing. Online reviews can be useful but beware; good ones are easy to fake and there are times when unscrupulous couples have written bad reviews about photographers to cover their own bad behaviour. Bear in mind that the photographer owns the copyright on pictures taken by them so you will need to talk about your use of the pictures on social media. There will always be couples who want a cheap and (hopefully) cheerful wedding shoot, and for them, Facebook Frank and his dodgy Samsung will be enough. If they want more, then careful research should help couples choose the right photographer and can pay upfront with no qualms. To help a couple who were "struggling to pay for their wedding" I offered a small deposit and pay later deal. My kindness led to months of lies, evasion, deceit and eventually I lost hundreds of pounds as the bride was frankly uninterested in her wedding pictures. Some years ago on a funky dancefloor somewhere in Leicester I met Rosa, a French woman who could shimmy with the best of them. Years later she asked me to photograph her 40th birthday party complete with red carpets, plastic Oscars and belly dancers. This was also a farewell to Leicester as she was moving to London. A few months ago she contacted me saying that her good friend Valerie was getting married to Sean and would I be the photographer. This was to be Rosa's surprise gift to her friend and I was happy to do the work. I arrived at the wedding venue to the sound of the guests who had flown in from France and the sight of a French Army Officer and his impressive collection of medals. A very jolly guest gave me a firm handshake followed by a high five before launching into speech in French. I recognised the words "chaud" and "assoiffé" so I assume he was hot and thirsty. I said the name of a French footballer who I don't think he'd heard of. I later met the English groom Sean who was as calm as a man queuing for an ice cream. "chat" with me. 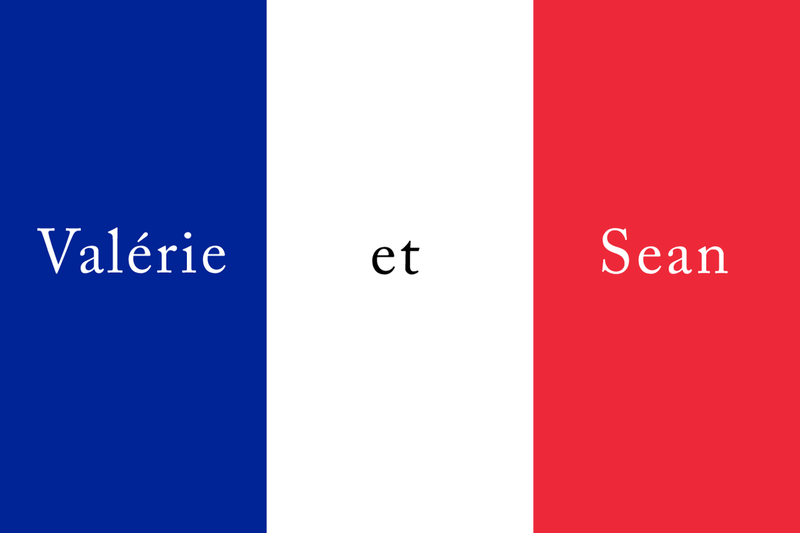 The level of my French is such that a few Gallic shrugs was the best I could offer. The ceremony itself was very moving with tissues being required by Valerie and many of the guests. After the ceremony I was about to set up the confetti picture when Valerie told me that because of the wind direction I needed to change plan. In 25 years I've never known a Bride to utter the words "wind direction". She was right of course! I took the bulk of the pictures in the grounds of the party venue and feel that I created some excellent work. Asking the guests to cry "Vive La France!" worked very well and I got some very animated expressions. Valerie and Sean were very patient as my flash triggers decided to go on strike and I had to use spares. The group shot was helped by my standing on a raised skateboard ramp and the risk of falling to certain death added to the jollity of the group and the pictures worked very well. Hog roast was on the menu and whilst eating, a lady approached and told me that she was very impressed with my approach and that I had made everyone feel relaxed. "Thanks", said I. After a chat with Rosa about Leicester and a conversation with a young couple about urban development (oh yes), I said my goodbyes and headed back for Shropshire. It was a great wedding to photograph and I can't wait to edit the work and create a wonderful book for Valerie and Sean. This is a picture of my Father (on the left) and his brother Cyril taken before they left St. Kitts West Indies for England and France respectively. Cyril died on the 18th of August 2014 and my Father died on the 17th of March 2015 at the age of 83. Cyril settled in Paris and created the very successful West Indies Steel Band as well as various Caribbean themed touring shows enlisting his three children Alain, Anna and Annick as dancers. My Father came to England and once he had found accommodation and work as an engineer in Leicester, sent money to my Mother so that she could leave the West Indies and join him in what they thought of as the Mother Country. 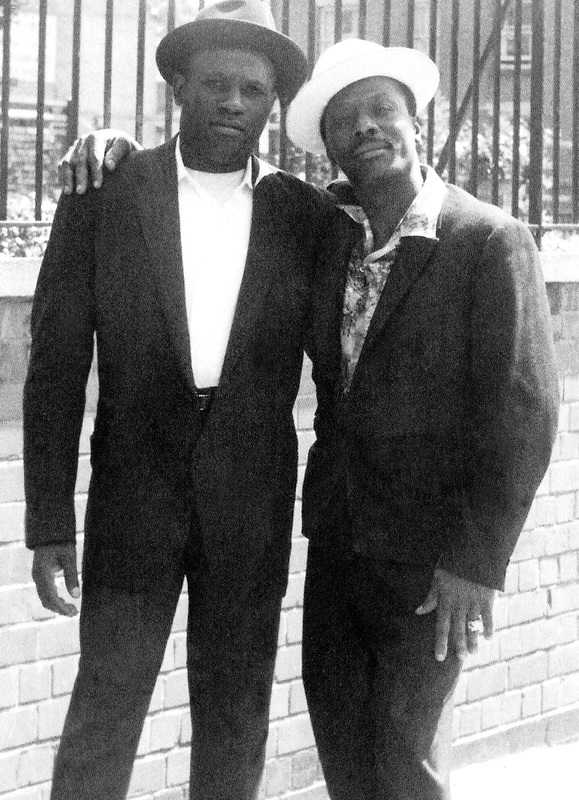 My parents lived in a small bedsit in Highfields in Leicester, that was owned by a man called Lawrence who had also come from the West Indies. My Father had suffered the humiliation of being denied accommodation because he was black and so it must have been a relief to be introduced to a more humane landlord. My birth and that of my two sisters meant that larger accommodation was needed and so my parents applied to the council for housing, eventually they were offered a house in a sprawling housing estate called Braunstone known for being the “roughest” in Leicester. Things were initially difficult for us and the handful of other black families on the estate as the tight knit community woke to the sound of “coloured” people playing John Holt records on their radiograms and hammering as they put up pictures of The Queen. We had a few windows smashed and were called some nasty names but our immediate neighbours, the McNeil’s, Hughes’, Dalby’s and Felstead’s were very kind and supportive. My Father worked at tool manufacturers Jones & Shipman and was known for being a hard working, quiet and focused man for whom hello and goodbye were quite enough chit chat thank you very much. He was definitely not dancing on the tables at the staff Christmas party. On Saturday mornings he would have Johnny Cakes for breakfast before assigning jobs to my sisters and I and then settle down to watch World of Sport and his beloved wrestling, anxiously waiting for the unmasking of Kendo Nagasaki. On Sunday afternoons he would drink at the Braunstone Victoria Working Men’s Club before coming home and watching a cowboy film, preferably one with Glenn Ford or Audie Murphy in the leading role. My job was to find the correct channel and then go off to bed for the compulsory Sunday afternoon sleep so as not to disturb a man and his cowboys. Sunday night was music night when the radiogram would be fired up and he would put on albums by the likes of Perry Como and Jim Reeves and woe betide any pickney who made a sound during these moments. As I grew older I was aware that my friends were doing things with their Fathers that I never did such as build bikes, go to football matches and general Father and son activities. When I asked him to watch me play football for my school he’d tell me to ask my Mother or ask me why I wanted him to watch me. The good old fashioned sleepover was viewed as an English tradition with sinister undertones and he would never allow it, leaving me feeling like the odd one out among my friends. In the summer our neighbour’s grandson Grahame would take me to the Cameo cinema, meals at Wimpy and best of all, visits to Highbury in London to watch Arsenal. How great it would have been if my Father was with me on the North Bank witnessing a Liam Brady wondergoal and then buying me a hot-dog to celebrate. At junior school I achieved a Five Star Award for Athletics and was so upset when my Father wouldn’t even look at it. It has to be said that when my Father was in the right mood he could be very funny and would tell entertaining stories about his early life in the West Indies which lightened the mood in the house enormously. These moments were all too rare and for most of the time he was a distant man whose main role seemed to be keeping his “rude” children in line. When I was twelve my parents divorced and my Father moved into a house five miles away which I thought would give us the chance to establish a closer relationship, or at least I could get to know him better. Sadly for me he was consumed by bitterness about the divorce and the collapse of his new life in England and there was very little opportunity for progress. Over the next several years he suggested that he had done everything he was supposed to do; leaving the West Indies, finding work, marrying and having children. When I asked if him if he felt that he had done enough with his children he’d always answer by saying that he worked hard and gave my Mother enough money to care for us. Try as I might, I could never get him to understand how it felt to be his only son and yet he did so little with me. The next 15 years consisted of times when we had a good and fruitful relationship and times when things completely broke down and we kept well apart. I now know that part of me resented him for his apparent apathy towards me when I was a child, and now expected him to work damned hard to make up for it. In the 90’s My Father was made redundant and eventually returned to Braunstone where he lived in a bungalow a mile from his former home. His neighbour there was the very helpful sister of an old school friend of mine called Tracy. During this time he became more withdrawn and difficult to communicate with. I would visit him when I could and support him but always felt that he was happier on his own. He later suffered a minor stroke and seemed convinced that he was going to die. The whole family gathered around him and we all noticed that he seemed much more positive, spirited and genuinely interested in his children. For the first time he was asking questions about our lives and cared for the answers, at last he was telling us about himself with an openness that illuminated hitherto dark corners. Our collective relief turned to dismay when having been given the all clear by the hospital and sent home he quickly returned to his old self and down came the shutters. In later years I understood that my Father did what his culture, background, character and circumstances dictated. According to my Mother, my Father’s childhood was not a happy one and there were many challenges and I don’t suppose the hug count was very high in 1940’s St. Kitts. Caribbean conservatism would have dictated very defined roles for the sexes and a man was not supposed to let feelings and emotions get the better of him. My Father would have expected to be the breadwinner and the enforcer of the rules whilst my Mother did all the softer, nurturing work. I also realised that the physical, emotional and spiritual effort required to leave the Caribbean and start a life in England must have been immense and may have helped to create the dutiful and stoical man that was my Father. I can only guess at the effect that divorce and redundancy had on him. The distant Father is of course not exclusive to Caribbean culture and some of my white friends had less than cuddly Fathers and would have a story similar to my own but I suppose that the children of immigrants have a potential extra estrangement to deal with. If my Father is reading this from “upstairs” he might say that as I’ve led a good life, pay my taxes and have never seen the inside of a prison, he must have done a good job. He’d also point out that he paid for my first car, a 1974 Triumph Toledo registration number PAY 927M and that real men don’t hug or say I love to you. He might also add that he didn’t watch me play football because I was rubbish and he would have been too embarrassed to admit that he was connected to me. Well it’s possible isn’t it? My heart is yearning to thee, O Skye! Skipping through Twitter as one does, I came across a Rock My Wedding tweet about the wedding of Becca & Sam on the beautiful Isle of Skye. 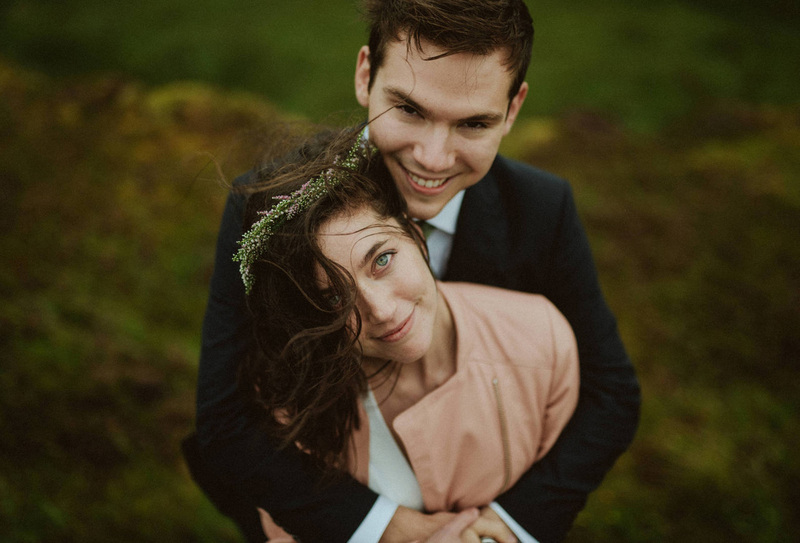 Photographers Tub of Jelly produced a wonderful set of photographs capturing both the connection between the couple and the atmosphere of Skye. The photograph above led to one of those "Why do I love this so much?" moments, that I often find myself wrestling with. Firstly, I love the light and the way that he's holding her. Also the fact that they are looking up into the camera, letting the viewer into their happiness. Look at the difference in their smiles, Sam open and proclaiming, Becca closed and contented. The blurry brown, green and yellow of the Skye background add a rugged beauty to the picture that pushes the couple forwards. I love the angle of Becca's head and her windswept, heather adorned hair covering her right eye. This allows her left eye to claim the dead centre of the frame and engage directly with the viewer who can't help but be drawn in. After all my technical and aesthetic considerations have been made, it is, at its most simple, a photograph of two people who are very much in love. 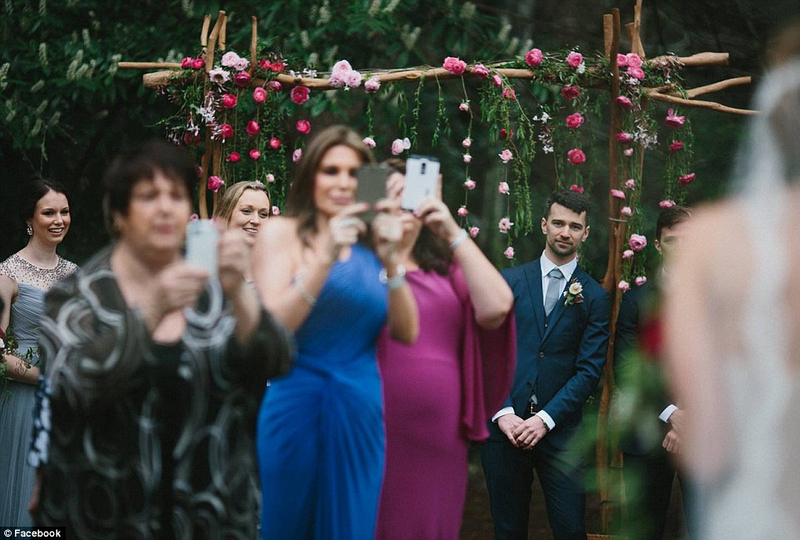 The picture above was taken by Australian wedding photographer Thomas Stewart and shows a groom struggling to see his bride as guests block the aisle to take their pictures. The image and Thomas' furious comments prompted much debate on the issue of guests and their cameras at weddings. Let me say from the outset that from the picture it looks like a very cluttered aisle area which is asking for trouble with or without the cameras. I'd add that, as Thomas would have wanted to capture this very important moment he should have made sure that nothing got in his way. I wonder if he told the guests not to take photographs as it is unlikely that three or more would ignore him. There is nothing new about wedding photographers being hindered by guests with their own cameras. When I started shooting weddings the issue was with keen amateurs with cameras like the Canon T90 who would brazenly take pictures after I had carefully posed the subjects. This person would also stalk me for the entirety of the wedding, asking me questions about the grain structure of Fuji Neopan film. A very firm tone was needed to ensure that I could do my work in peace and produce the pictures that the client had paid for. I also had to contend with large numbers of compact camera users who could whip out a camera and ruin my shot in the blink of an eye. I soon learned that I needed to be quite assertive and insist that they wait until I had taken my photographs before they took theirs, this worked generally well apart from the occasional bellicose male who would threatened to insert my camera into a place not covered by insurance if I got in the way of his artistic efforts. By around 2005 the cameraphone was everywhere and people were now in the habit of photographing and videoing everything, no surprise that they wanted to take pictures at the wedding of their beloved friend or relative with no regard for etiquette as defined by the likes of me. It was no fun to carefully pose your Bride and then watch her become googly eyed as the smartphone army swooped. Having a cameraphone at a wedding meant that you didn't have to buy or wait to see the official pictures and you could have that blurry picture of the kiss at the altar on Facebook before the Pastor cleared his throat. You certainly didn't have to do those rather old fashioned things called experiencing, enjoying and remembering. With so many excited guests armed with cameraphones and a photographer employed to produce great photographs, there are bound to be occasional difficulties so here are some ideas to reduce the stress on both sides. 2. Enlist a senior/authoritative member of the wedding party to keep guests at bay. 3. Ask the wedding officials, DJ's etc to announce the photography rules. 4. Find an area away from the guests to take the most important photographs. 5. Respectfully tell the guests that they are welcome to take pictures after the photographer has taken theirs. 7. Don't come across as a precious artiste and use humour to keep the guests onside as irate guests don't photograph well. Pretty much from birth, my son Theo has attracted a great deal of attention to the point of being stopped in the street by breathless strangers telling me how beautiful he is. I then had scores of people suggesting that I get him into modelling as he’d be snapped up by agencies from Paris to Milan and I could retire on the fortune and book a world cruise. Well, despite my reservations about sending my boy out to work, I ended up in a Manchester photo studio at the request of a model agency who were absolutely enthralled by the picture I sent them. As I sat down I was immediately offered wine and the studio owner, knowing how to make a man feel good, asked me if my shirt was a Paul Smith, obviously trying to establish my spending power. I smelled a fragrant rat, and this rat wanted all my money. After Theo’s shoot I was ushered into a darkened room and shown the pictures on a very impressive Mac monitor. “A lot of parents spend upwards of £2000 on our pictures,” said the fellow, “But I’m a photographer and can shoot Theo myself. The agency said that this was a shoot for them to promote Theo,” said I. The fellow ignored this and proceeded to show me even more pictures and offering me “special deals” and hinting that purchases might lead to Theo getting accepted. It was now time for my vexed face and I forcefully told him that I was not buying any pictures as the agency had told me that the shoot was arranged to get professional pictures of Theo that they would use to find him assignments. “Okay,” he said sadly, “the pictures will be sent to the agency.” With that, we left and sauntered around Manchester before heading home. Well knock me down with a feather, the agency never got in touch and I never booked my world cruise. Times are hard for us photographers and we have to be creative to turn a dollar but this was a little naughty. This was essentially an expensive photo studio with an unclear link to a baby model agency which meant that it had an endless supply of parents who it could pressure into buying very expensive pictures. Just imagine how many parents bow to the pressure and hand over the money thinking that it improves the chances of their little one getting accepted. There is something particularly nasty about exploiting parents who would love to see their little cherubs on a Mothercare wall, not necessarily for the money but because they are as proud as punch of their babies. Still, it was good to go to Manchester, get some free wine and breathe the same air as The Smiths did, but Hard Sell Harry was no fun at all. Theo is now with a bona fide agency and it is going swimmingly apart from my desire to tell the photographers where exactly to position the lights. It was quite a few years ago that Bekki mentioned getting married and that she’d like me to be her photographer. Much has happened since then including fatherhood and relocation to Shropshire so I was really looking forward to going back to Leicester for the shoot at the charming Guildhall, parts of which date back to 1390. I took Bekki’s preparation photographs at the lovely Hotel Maiyango which is a stone’s throw away from The Guildhall where Bekki and her ladies were all very excited and being royally entertained by her hairdresser and her collection of stories. After taking my photographs (including several of the Vivienne Westwood shoes) I went to meet an old acquaintance Comedian Ben Ennis who works at The Guildhall. Ben showed me around and suggested some areas that would be good for taking photographs as well as lamenting the dire state of Leicester City Football Club. The ceremony was a delight to capture and thanks to my helper on the day, the legendary Mo, the formal shots were taken without a hitch. Bekki and Paul were amazingly patient as I tried to photograph them in as many interesting areas of The Guildhall as possible. Later we all went to Colourworks Restaurant for food, speeches and thanks before heading back to The Guildhall for dancing, cake and the final pictures. It really was good to be working in Leicester with such a sweet couple and their great family and friends. The groom’s brother and some friends were musicians whom I had photographed many times before when I was covering the Leicester music scene and so it was quite nice to see them scrubbed up and not sweating on a stage. So, it was good to go back to my roots, do some work in Leicester and hear that mellifluous accent again. Here's hoping that I get to shoot another wedding at the wonderful Guildhall again.